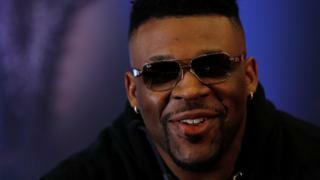 BBC Sport's Denise Lewis and Michael Johnson give their reaction to world pole vault champion Yelena Isinbayeva's condemnation of homosexuality. The Russian, who made the comments amid protests over new laws in her country, criticised athletes who painted their nails in support of gays and lesbians. 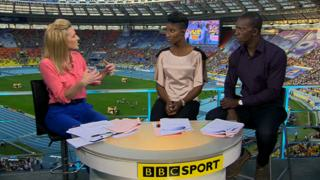 Lewis says Isinbayeva is "not in touch with the rest of the world", while Johnson thinks she has "very flawed judgement".